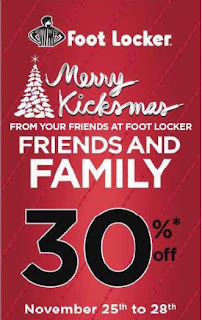 Foot Locker’s Friends and Family “Merry Kicksmas” sale goes from November 25, 28, 2010. 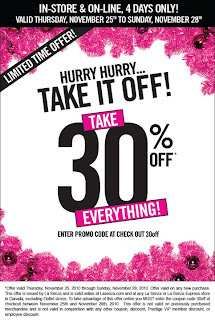 During the sale, you’ll get 30% Off! You will need to print and bring the invitation coupon in order to be able to take advantage of the sale. Click here to print the Foot Locker Friends and Family Invitation Coupon. 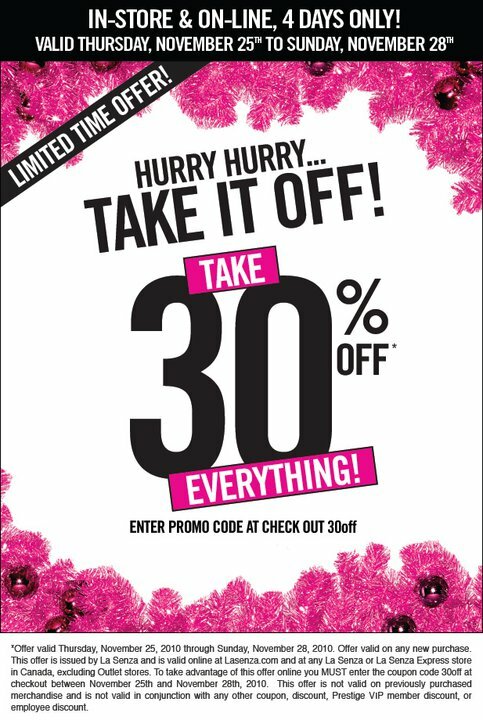 Get 30% Off Everything at La Senza in-store and online on November 25 – 28, 2010. This is a limited 4 day sale. If you’re shopping online, enter the discount promo code “30OFF” at checkout to get the discount. Click here to visit La Senza’s website. Starting December 1st, Starbucks will offer an exclusive deal each day for 12 days (December 1-12, 2010). If you’re a Starbucks fan, make sure to follow and share the exclusive deals. Click here to visit Starbucks website to view and follow the daily deals when the promotion starts. Guess just extended their fall sale. Get 50% off women’s sale apparel when shopping at Guess’s online website. This is a limited time offer. The prices on the website will reflect the discount. You don’t need a code or anything to take advantage of this deal. I just checked their website and there’s a large selection of over 54 different items to select from. Click here to shop Guess’s Extended Fall Sale now! Don’t miss out! I was just checking out Apple’s website and noticed they are having a mystery Special One Day Apple Only Shopping Event this Friday, November 26, 2010 at 8 am. As most of you know, Apple products are rarely if ever on sale, so this will be a good chance to finally pick it up if you’ve been waiting to purchase an iPhone, iPad, iPod or any apple accessory. The special one-day Apple shopping event. Come back to the Apple Online Store this Friday for a special one-day-only holiday shopping event. You’ll find dozens of great iPad, iPod, and Mac gifts for everyone on your list. Click here to shop Apple\s website or for more information about the deal. 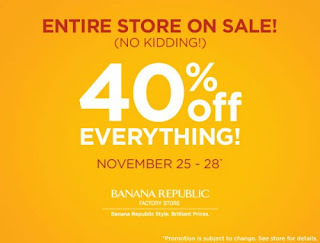 On November 25-28, 2010, get 40% Off all Banana Republic Factory Stores and 25% Off at all Banana Regular Retail stores. The sale applies to everything in-store. You don’t need a coupon or anything to get the deal. You can also get 25% Off when shopping on Banana Republic online by entering the promo code “BRCDA25OFF“. Banana Republic offers Free Shipping on all orders over $50. 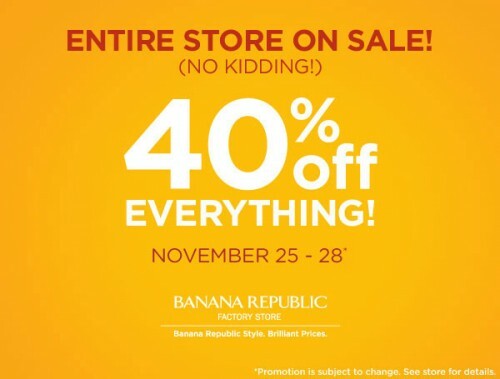 Click here to visit Banana Republic’s website to shop now or for more information about the deal. Best Buy currently has a “Deal of the Day” promo where they feature 1 Hot Product per day with incredible savings. The deal is only valid for that day and they will feature a new deal everyday. The deal is available online only. Today’s Best Buy “Deal of the Day” (Tuesday, November 23, 2010) has the Compaq Presario 15.6″ Laptop featuring AMD V-Series Processor V120 (CQ62-215DX) – Black – English for $299.99. It normally retails for $379.99 which is a savings of $80. This is a 1 day only sale so don’t miss out. Best Buy offers Free Shipping on orders over $39.99 to anywhere in Canada which means this order will obviously qualify for free shipping. Click here to check out this deal on Best Buy online. Press the “Like button” at the top of this post if you like this deal! Guest Post by Wes Walls. Just about everyone loves a good deal and it seems that in times when the economy is a little rocky, bargains abound. Case in point: earlier this year it was announced that Groupon, the social coupon website that you’ve likely heard of, is the fastest growing company ever. Let that sink in for a second… no company in history has ever grown faster. Since Groupon went online a couple of years ago, a swath of comparable sites have exploded onto the scene. The trend is obvious – people have a little less money in their pockets but want to maintain their lifestyle. Social coupon sites are the answer to that urge. You can still have a great time and explore your city without overspending. This is the original social coupon mega-deal site. One deal is posted per day, with a certain minimum number of participants needed to activate it. If the minimum is reached, then the participants are sent a voucher by email which they can print and bring to the business. If the minimum is not met, which almost never happens, no one gets a voucher. Groupon goes out of their way to make their daily deals adventurous and fun. One “brave soul” claims to live off nothing but Groupons. You can find Groupons for over 20 Canadian cities with the notable exception of chez moi, Montreal. Being one of the other big players in social coupons, LivingSocial is also able to post great deals each day. If you participate in a daily deal, you will get a voucher no matter how many other people participate. Not only that, but if you share the deal with three other people who also participate, your deal is free. LivingSocial coupons are available in only seven Canadian cities – including Montreal. And, for what it’s worth, LivingSocial is probably the nicest looking of all the social coupon sites. This social coupon site is Canadian-only and offers a daily coupon with no minimum number of participants. The deals here tend to be a little less adventurous than the big players – at time of writing the deal of the day is for an indoor children’s playground pass – and their pyramid-style commission scheme is a little bit tacky, but a deal is a deal. $12 off something you might want in your community is $12 off, so it’s still worth signing up to the newsletter. StealTheDeal coupons are available in ten Canadian cities at the moment. Dealfind posts daily, limited-time deals from Monday to Thursday of each week. The deals are robust, if generally not as adventurous and unique as LivingSocial or Groupon. They encourage their participants to share the day’s deal to earn cash. They tend to mostly get coupons for salons, laser treatments, spas and the like, and while coupons are available in nine Canadian cities, coupons are not always available in all of the ones listed. It’s probably only worth signing up if you live in Vancouver, Calgary or Toronto. Teambuy is a Canadian-only social coupon site that emulates the Groupon model. A minimum number of people need to participate in the promotion in order for everyone to get the deal. As with Groupon, the minimum is almost always surpassed, and the quality of the daily deals is very good. This is my favourite Canadian social coupon site. Teambuy is active in about twelve Canadian cities, and if you live in one of these it is certainly worth signing up for. This is a US-originating site that has expanded into Canada. Deals are only available for a few cities right now, and they are often fairly low value but fun. They donate 10% of every deal to a local charity, such as YWCA. GoodNews is advertising heavily online right now, so I’m sure we can expect to see new deals coming online fairly soon in more cities. It’s definitely one worth keeping your eye on. There are many ways you can save and find deals on- and offline, but if you like impulsive, adventurous and relatively affordable spending, our Top 6 listed social coupon sites are certainly worth a look. There are other websites coming online all the time offering daily coupons. Are there any other Canadian social coupon sites that you use or like? About the author: Wes Walls is the founder of CouponPromoCode.ca, a new website that makes it easy and fun for Canadians to find online coupons, promotions, freebies and other great deals. 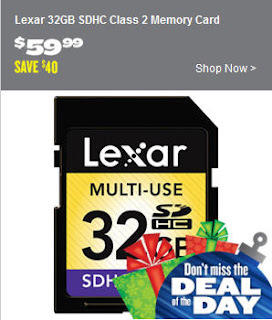 Today’s Best Buy “Deal of the Day” (Monday, November 22, 2010) has the Lexar 32GB SDHC Class 2 Memory Card – Online Only for $59.99. It normally retails for $99.99 which is a savings of $40. This is a 1 day only sale so don’t miss out. Here’s a very cool promo by H&M. If you have a Apple iPhone, iPad or iPod, go to the Apple App Store and download H&M’s Free App. After you download it, open the application and shake your device. A special window should pop up giving you a 20% Off any one item coupon. Then just show the H&M cashier the coupon on your screen and they’ll give you the discount. I’m told that H&M will do this ever so often and offer special discounts like this in the future. The coupon is good for one item in all H&M stores in Canada and expires this Sunday, November 28, 2010. 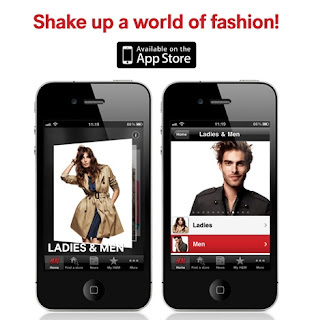 Click here to view H&M Apple App download page. 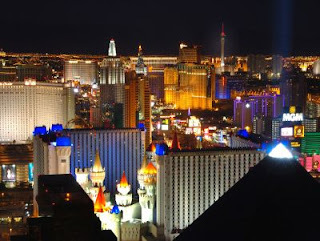 SUPER HOT DEAL: Flight & Hotel from Canada to Las Vegas for $12/person after tax! I can’t thank Chris from YYC Deals enough for sharing this deal! This deal and code works for anywhere in Canada. It’s such an incredible deal that I had to take advantage of it. I just booked a last minute flight to Las Vegas Nov 22-26. Direct Flight there and back on Westjet and staying at Planet Hollywood Resort. It came out to $212.30 per person after tax for everything (flight, hotel and taxes)! You can pay as low as $12 for flight + hotel including taxes per person if you select one of the cheaper hotels in Vegas! Go to Expedia.ca and use the promo code “SAVE300” to save $300 Off any flight and hotel package to Las Vegas, New York or Cancun until December 31st, 2010. This is a limit time offer and likely won’t last much longer so please take advantage of this deal while it lasts. I just wanted to let people know that Expedia.ca put out a promo code for $300 off flight + hotel packages, to Las Vegas, Cancun, and New York. The thing is, it even works if you just search for 1 person, so it’s possible to get flight + hotel packages to Vegas down to $80 after tax, for flight + hotel. And then you can just book the second person, and get another $300 off. The code is valid from everywhere in Canada, and some of the deals that people have been getting are ridiculous. 2. Search for flight and hotel packages from your city to Vegas. Which brings the total cost down to $300 after tax for 2 flights and hotel to Vegas!!! Looks like it might be just one booking per credit card, but you can get some crazy prices if you book a flight + hotel package for just one person and apply the $300 discount. To make the next booking, you should use a different computer, different Expedia account (or guest) and a different credit. You can end up with 2 rooms for a couple, but that’s fine, just don’t use the second room. Click here to visit YYC Deals for more information about this deal! Click here to read more about this deal on YYC Forums. Thanks again Chris! My wife and I can’t wait to go to Vegas on Monday! 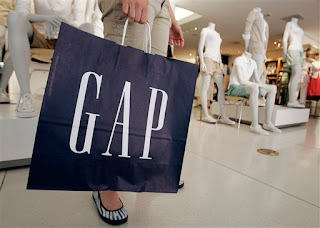 Get 40% Off your entire purchase at the GAP this Saturday, November 20, 2010. You will need to print the email invitation below and present it to the cashier to take advantage of this sale. This sale is only available in-store. This is a sweet deal and I plan on buying a lot of stuff. Get 40% off your Gap purchase. Saturday, November 20. Gap Canada stores only. To redeem, present email to cashier. Cashier: Enter FLASH40. Generation stores. Not combinable with other offers. Restrictions apply. See stores for details. Click here to print the GAP Email Invitation.